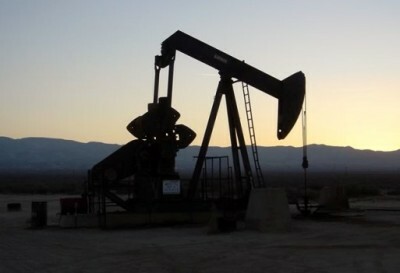 Grantor transfers to the grantee the ownership of the interests, but grantor retains the right to receive revenues generated from oil and gas production and lease bonuses as long as the grantor is alive. Once the grantor dies, the right to receive revenues reverts to the grantee. Commonly used when an owner wants to transfer his oil assets out of his estate but wants to continue to receive the revenues generated from the oil royalties during his lifetime. Also called quitclaim deed, quickclaim deed and quick claim deed. Transfers any mineral, royalty or overriding royalty owned with no warranty of title. The person named in decedent’s will to administer the estate who accepts the appointment by qualifying before the clerk. Also called executor, executrix or personal representative. A statement of facts relating to the death and heirship of the decedent which is sworn to before a notary public. Usually executed by someone who knew the decedent but is not an heir to the estate. The additional probate required to legally transfer title when the oil royalties are not located in the same state as the decedent. For example, the decedent’s estate was probated in New York (the decedent’s state of residence) but the oil royalties are located in Oklahoma. Person receiving assets of an estate under the terms of the will. A copy of a document that is signed and certified as a true copy by the officer to whose custody the original is entrusted. The decedent’s property at the time of his death. The person named in decedent’s will to administer the estate who accepts the appointment by qualifying before the clerk. Also called executrix, administrator or personal representative. A female executor. Also called administrator or personal representative. A person in a position of trust with respect to another’s property. A term used to refer to the executor or administrator. When the decedent owned an asset in one state but the decedent’s will was probated in another state (i.e. the decedent owned oil royalties in Texas but his will was probated in Florida). Persons who would inherit the decedent’s estate if the decedent died intestate, or without a will. Detailed list of real and personal property in an estate. A written decree of the court whereby the executor is named. The person named in decedent’s will to administer the estate who accepts the appointment by qualifying before the clerk. Also called administrator or executor. The legal process in which a court oversees the distribution of property left in a will. The procedure whereby a will is admitted of record in the clerk’s office, including the process of qualifying a person as an executor of an estate and the process of administering an estate. An individual’s written declaration of property disposal after death.